The saying “Why should anyone die who has Sage in their Gar den”, couldn’t be any more truthful once you look into how beneficial it really is. 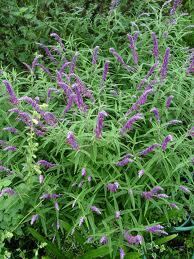 The botanical name for Sage is “Salvia” which is Latin for “to save or heal”. Sage contains a variety of antioxidants, in the form of volatile oils, flavonoids and phenolic acids. Sage is known too have far more antixoidants than any other herb. They protect your cells against the oxidative stress caused by free radicals, many consider this be the primary cause of the aging process. So by protecting yourself from these free radicles, your helping yourself too stay clear of many of the health problems that comes with the ageing process. Some of these problems range from cancer, heart disease, diabetes, arthritis, macular degeneration, Alzheimer's disease, and many more. Many ancient cultures identified Sage and its properties with immortality. Since ancient times Sage has been used for a variety of things. The ancient Greek physician Diocorides noted that Sage stopped bleeding wounds and cleaned ulcers and sores. He also noted that it was excellent for hoarseness and coughs when drank as a tea. The ancient Egyptians used it as a fertility drug and also used it for many other ailments. Throughout the centuries it has been used for a wide range of ailments, from helping menstrual bleeding to excessive sweating. It has also been frequently used throughout time by the Chinese in teas and cooking purposes. In the past it was used to treat numerous ailments ranging from sprains, swelling, ulcers, and bleeding. It was utilized as a tea for its purposes of helping to improve memory, focus, and sharpening senses. It was also used as a way to calm the senses down, due to nervous conditions, as well as various stomach ailments. We still utilize sage for many of its purpose’s the ancients used it for. Studies have shown that Sage is great for nervous diseases of various types, throat, mouth problems, as a sedative, and for its calming properties. 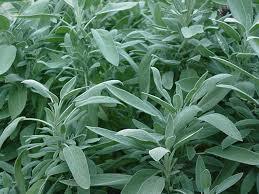 Sage has been used effectively for throat infections, dental abscesses, infected gums and mouth ulcers. This gives people a great option to use an all-natural substance rather than a potentially harmful drug they may purchase at a store. Studies have also shown that it is very beneficial for liver and kidney problems, as well pancreas and hemorrhaging of the lungs and stomach.As a topical solution it has been known to be an awesome all natural antiseptic. It can be used to heal and stop the bleeding of minor cuts and wounds. It also helps with insect bites and rashes of various forms. It can be rubbed on your teeth to kill off any virus or infections like plaque or gingivitis. Gargling with Sage is also very good to kill of any infections that may be in or around the throat area. 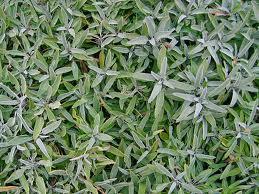 Some studies have shown that Sage may be beneficial for new hair growth. Although studies are being conducted on this, it’s confirmed that sage is good for hair color restoration, dandruff and other scalp problems. How can I use sage? Many people use sage by drinking it in tea. There are a few ways you can go about this process. 1. You can buy Sage tea at a nutrition shop, grocery store or anywhere that sells teas. you have too be careful when purchasing it some places though. Some of teas are not as potent as getting in its pure and raw form. 2. You can pick up some of your own Sage leaves at an herbal store or similar place. You can infuse the tea with other things like chamomile, mint, lemongrass and honey. The reason being is that Sage has a strong flavor too it. Some people say it’s a pungent taste that is really bitter with taken by itself. You can also gargle with sage to clear out throat and mouth infections. I've done this in the past and I usually do it around 2 to 3 times a day. Be sure to do it after you brush your teeth or eat a meal, that way you can allow it to soak in more effectively. A word too the wise, the Sage you would buy in the store isn’t near as effective as you would get from an all natural organic supplier. Most of them are irradiated to destroy bacteria and other harmful things within the spice. So be sure to pick it up from an outside source rather than the supermarket, unless its a tea. If you're on any medications, be sure to talk with your doctor or a pharmacist before starting to supplement with Sage. If you have a history of Allergies be sure to do your research before supplementing with it as well!